A bedroom fit for royalty. The Brooklyn collection by Jennifer Taylor Home brings glam and style to any bedroom in your home. Crafted beautifully with solid kiln-dried birch wood, upholstered with high-quality fabrics, and accented with diamond hand tufts along the entire headboard and footboard, the Brooklyn is an ideal choice for the guestroom or your master suite. We offer a unique versatility in design and make use of a variety of trend inspired color palettes and textures. 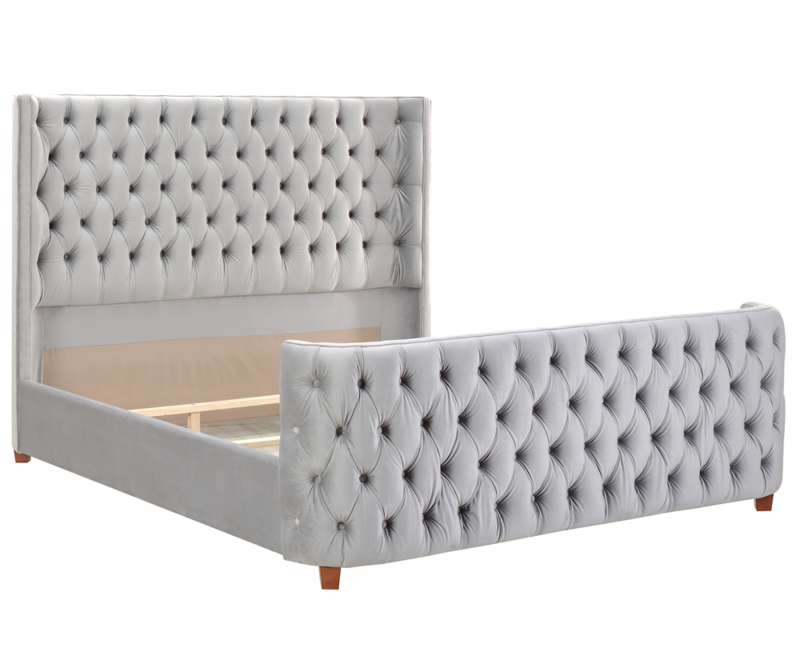 Have a dream worthy sleep with the Brooklyn Tufted Bed. 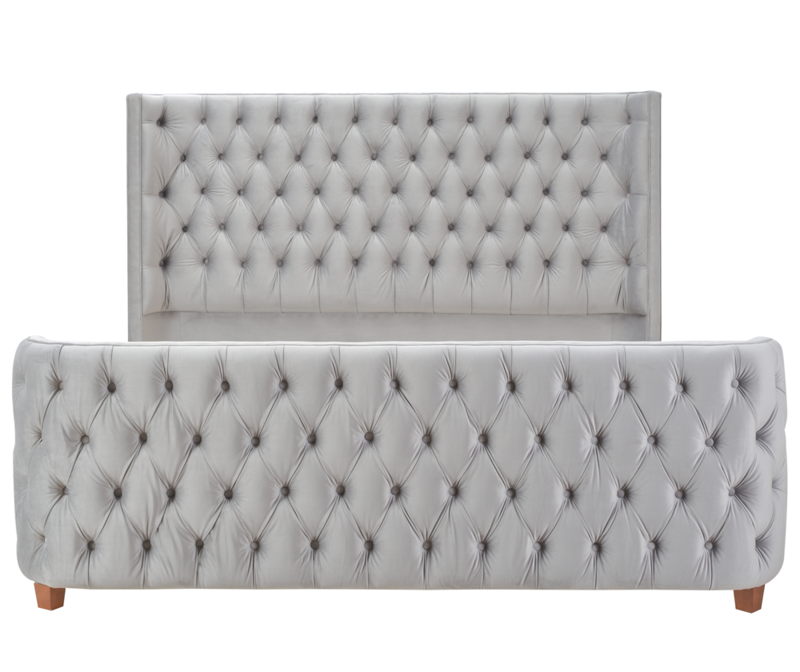 Crafted beautifully with solid kiln dried birch wood, upholstered with high quality fabrics, and accented with diamond hand tufts along the entire headboard and footboard, the Brooklyn is an ideal choice for the guestroom or your master suite. The bed is a stunning master piece for your bedroom. You will be resting on some of the highest quality construction you can find in modern furniture. Handcrafted to be the best, this bed will be sure to last. This glamorous bed will upgrade your bedroom to new heights. This bed is gorgeous! It is off white. Not bright white, but not really cream colored. I purchased white glove delivery, which was good. This bed is heavy. Very high end looking. Perfect classic style. As others have said it's more of an off white rather than stark white, but well shipped and easy to assemble. Love, Love the look, material and style! OMG, I cannot begin to tell you have fabulous and gorgeous this bed is. I am getting compliment after compliment. It is so soft and luxurious. It is more beautiful in person. Once I dress it up I will post a pick. It's absolutely stunning! We got the white king bed frame and it goes so well in our master. My only complaint (but it's barely a complaint) is that it's more of a creamy white than a true, stark white. The fabric is also more of a linen material than a velvet. I was under the impression it was more velvety by the pictures. It’s beautiful!!! And super easy to put together. Just like others have said it’s more off white than true white. It’s the beginning of the master bedroom makeover. This bed exactly what I was dreaming of.